The race is on; who can get to the other side alive! 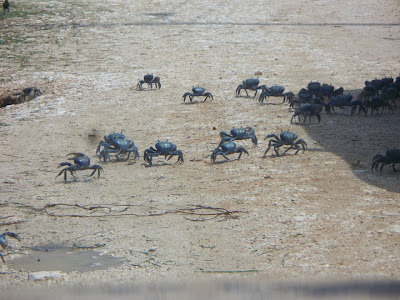 This time of the year driving in the area of mile 7/8 on the Northern Highway you can smell the aroma of dead crabs that have been crushed under the tires of passing vehicles. You might also see men with sticks and bags walking along the edges of the highway. 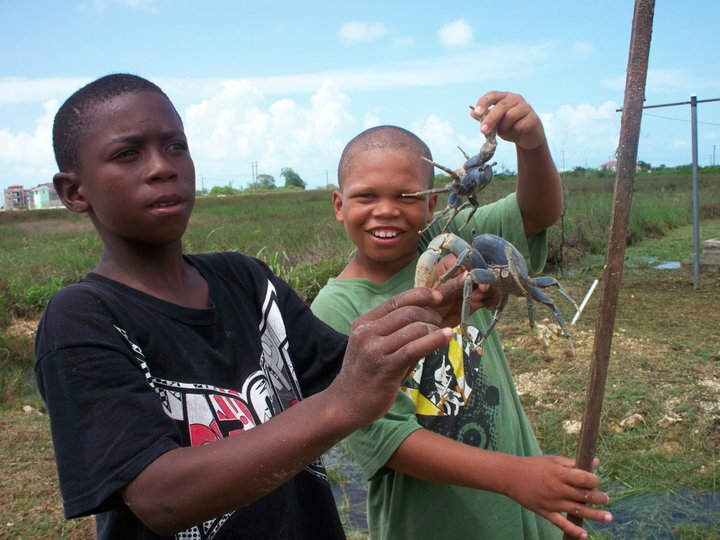 No, they are not picking up trash......they are actually hunting the blue crabs for a meal. If catching the crabs is not your cup of tea, you can buy them from the young men at just Bz$10.00 per bucket; they arrive all hours of the day but bring your own paper bag or sack. 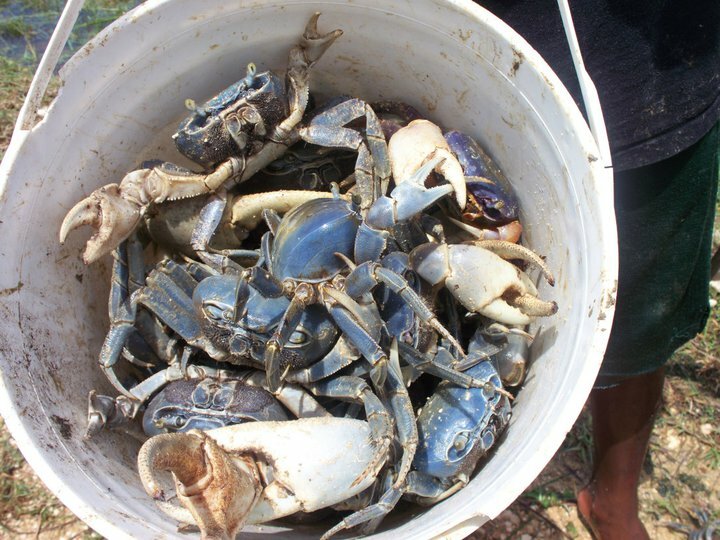 The crabs are not separated by size; just whatever can fit in their buckets; small, medium or large. 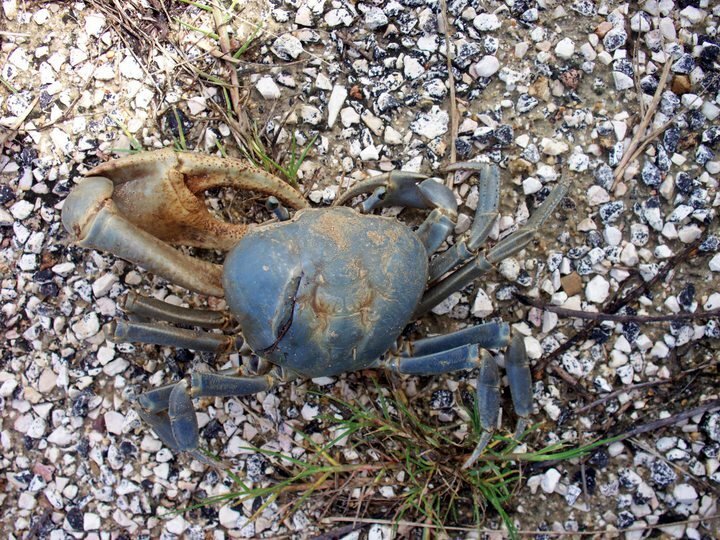 Be careful when getting ready to cook your crabs; their claws are small, but can inflict a nasty pinch. The best way to handle them is with tongs. 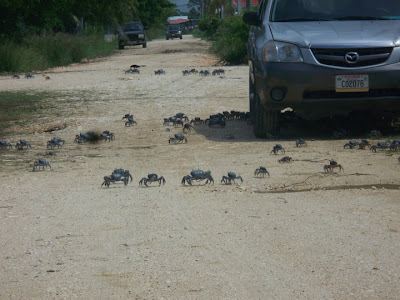 The favorite crab dish in Belize is crab soup and a large steamer pot is a must. The crabs must be submerged in boiling water and carefully cleaned and set aside for your soup. For the soup you will need a generous amount of coconut milk, green plantains, Matilda foot (grated young plantain), and some of your favorite spices. It should take about 30 minutes and served with white rice steamed with coconut milk. Summer time is the tyme to get cracking with blue crabs in the town of Ladyville, Belize. To kill crab, place it in hot boiling water. Remove from water with long spoon. Dis-joint legs from body and crush the large claws. Add season. Boil pig tail and green plantain until tender. Meanwhile, grate coconut and squeeze (leave 2 tablespoons milk for Matilda foot). Add seasons to crab in boiling water. Add Matilda foot to stew. Cook for another 15-20 minutes. Lastly, add coconut milk and taste. Serve the Belizean Crab Stew hot with steamed rice. Add margarine and milk to grated plantain, mix well. Drop by teaspoon into boiling stew. 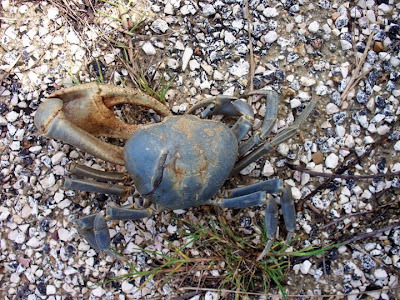 The Belizean Crab Stew is very easy to prepare and so good! 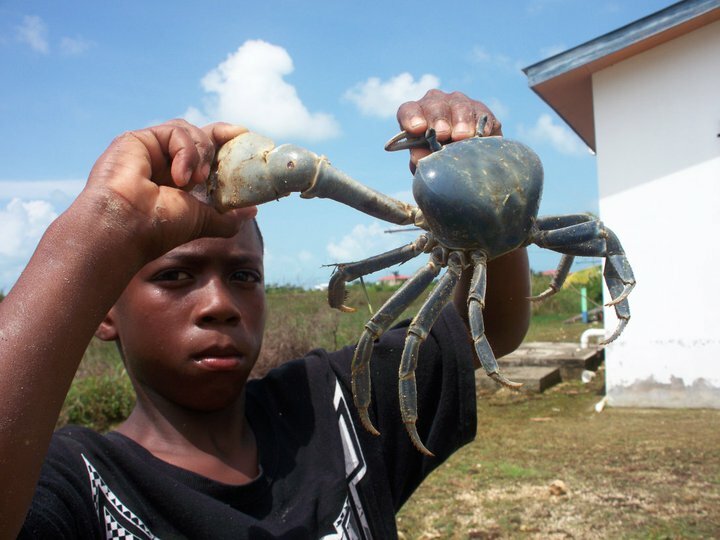 The Belizean Crab Stew recipe is adopted from The Belizeans Favorite Foods by Erleen Godfrey. 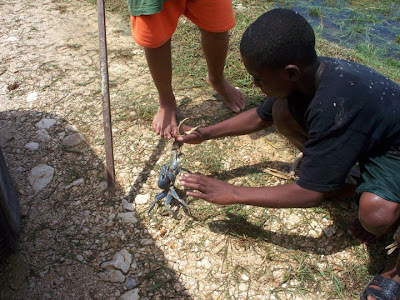 I remember catching blue crabs as a kid, the whole streets would be swarming with these guys.